LOOKING TO JOIN ONE OF THE ELITE 7V7 ORGANIZATIONS? 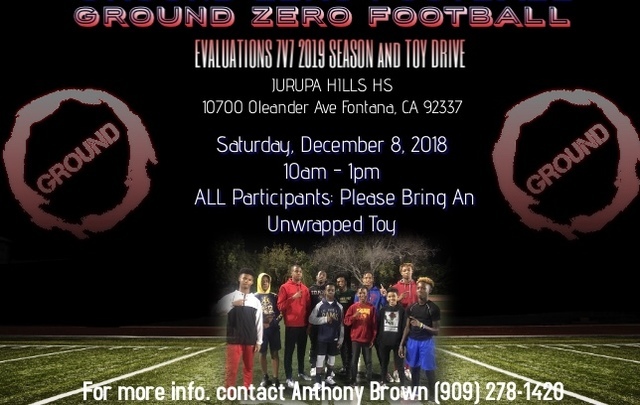 COME CHECK OUT GROUND ZERO THIS SAT, DEC 8TH, AT JURUPA HILLS HS IN FONTANA FROM 10AM TO 1PM. PLEASE BRING AN UNWRAPPED TOY. FOR MORE INFO CONTACT ANTHONY BROWN AT 909-278-1420.